Kamali’s book has a couple of clunky bits where she just wants you to believe certain things about her characters without developing them. However. her sharp, sassy writing style makes up for it. She’s like a sweet cynic when she gets hold of words. 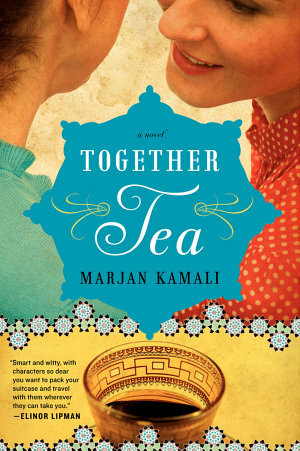 The novel’s premise is that the mother and daughter in an Iranian family that fled after the Revolution decide to go back for a visit. They go because of love interests – Mom has picked up one she doesn’t one, and the daughter has rejected one Mom picked out for her. At one point Mina (the daughter) describes herself as balanced on the hyphen between Iranian-American. It’s a lovely passage. In the course of the visit, the depiction of one mom dealing with her family’s everyday pressures compounded by a country flipping itself upside down in a near-civil-war is fascinating. This isn’t an intense political book; it’s one family’s experiences. And its power lies in the way Kamali writes more than the plot or characters. It’s always through the women that the men express their agenda. Cover up so they can feel like they’re in power. Mina: Would you like some nuts. Guests: Oh thank you, no, may your hands not ache. Mina: Please take a nut. Mina: In God’s name, take a nut. Her humor is understated like that. Was freedom just tiny movements like this? Simply knowing that no one cared if the sun shone on your hair? …. But dominating all the new colors was the jarring red of Darya’s hair, an unfamiliar defiance that screamed silently at the start of their American life. Real life was messy. It would never add up. It wasn’t perfect. It didn’t need to be. This is not a happy family book, so you may want to wait until Spring to read it. I ordered it after following its appearance on my friend Nichole’s TEN BOOKS THAT INFLUENCED ME list. We shared a love for eight of the ten, one was A Prayer for Owen Meany (and Nichole is the reason our staff cat has that name; it’s the only Owen that will ever grace our shelves) and one was Random Family. I love ethnographic studies, so I ordered it. Densely packed, this is the summation of 11 years of work with people floating through – or perhaps drowning in – the justice system. I’m not sure the term “social justice” appears often, but the whole book is an indictment of the idea that poverty is the fault of the poor. And it’s a really ringing indictment. Roaches falling by the dozens into carefully chosen food, men coming up fire escapes into the windows of “free” housing provided a woman with four daughters, the inner workings of a prison hierarchy for education and a future–it’s going to set you back a bit. Jack liked the book because, as a prison visitor, he’s seen much of what the men go through trying to form outside attachments and secure stability. LeBlanc didn’t use the words “search for security, love, maybe some significance” very often, either, but the whole book is one mad shuffle between family members looking for those things, mostly in that order. Coco and Jessica, the main female characters, are clearly drawn as real, lovely, flawed, and stuck. One of the questions in the book group guide at the end of this book reminds readers that LeBlanc was in the community for eleven years, part and parcel to all that is described, yet she doesn’t appear as a character. That’s one of the book’s quirks; LeBlanc has made nothing up, it’s all from interviews and observation. Yet she is invisible, and the book is not so much narrated by an invisible person as scatter pelleted by some unseen weapon. Sentence after sentence, some of them barely hooked together, scene after scene, description after description, and although the whole thing circles a spiral of recurring events, it doesn’t sound the same. LeBlanc writes like a machine gun. Not everyone will like this book. It’s less narrative arc or journalism than ethnographic description. It doesn’t ask “why,” just tells “how.” I’d like to say it’s haunting, but in all honesty, as someone so far removed from what LeBlanc describes, the word might be daunting. How can anyone make economic inequality going this far wrong, better? LeBlanc did an interview ten years after the book’s 2003 publication; you can find it here. 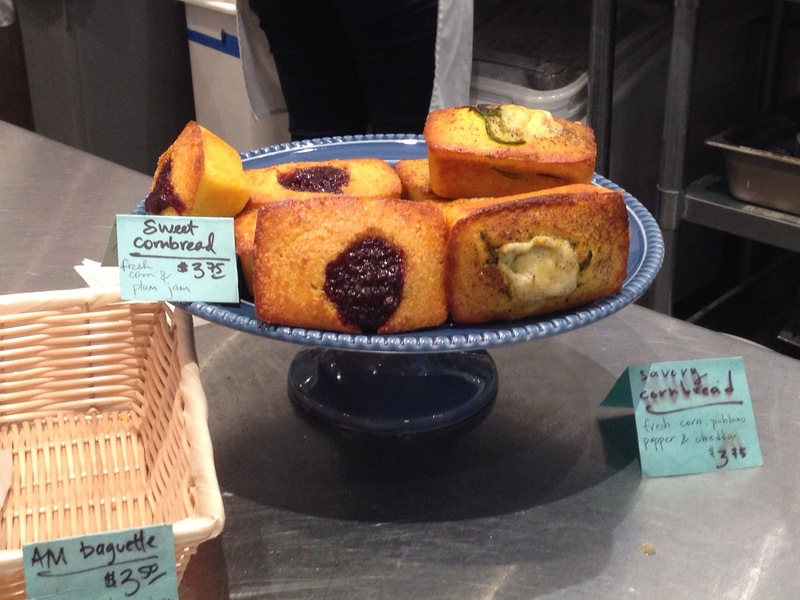 Kelley, the chef here at Second Story Cafe, has been soliciting opinions: should cornbread have sugar in it? Yes, it’s that ugly, age-old conflict of North vs. South, encapsulated in food. Northerners tend to say yes, Southerners no. And we all know what happened the last time these geographies disagreed on an important issue…. Before we dive into this rather heated debate, permit me to point out that cornbread has brokered culture blend way longer than it has provoked division. When Europeans “discovered” America, they found corn a staple of food for the people already here, and adapted it into their own recipes. Cornmeal went from something served more like polenta to the pone that became a part of every Appalachian’s diet. My grandmother made the best cornbread, in a pre-heated, pre-buttered cast iron skillet so the crust was hard and the inside crumbly. Hers wasn’t sweet, but dripped butter enough to make Julia Child pause. Growing up, cornbread at Sunday dinner, alongside ham and green beans, preceded cornbread in a glass of milk for bedtime snack. And if there happened to be any left (an unusual occurrence) it was Monday morning breakfast before catching the school bus, as well. After Gran’s death, during my lean graduate years, I resorted to those pre-packaged mixes, about 30 cents each. Of the two brands that fought for supremacy in my local grocery, one was sweet and bright yellow, one savory and pale. I bought the bleached brand out of loyalty to grandmother; for under a dollar, even counting the butter, I could make an evening meal out of cornbread and a side vegetable. Breakfast the next morning – leftover cornbread heated up, then dumped into cold milk–was about 40 cents. So I don’t mind if cornbread is sweet or savory, choosing rather to celebrate its cheap (in Appalachia, at least) wholesome goodness and its cultural blending. But if you want to see some REALLY fun debates, hop over to Second Story Cafe’s FB page and read the comments. “Sugar in cornbread”???!!! Feuding words. A 40-something woman with frizzy hair, wearing jogging shoes, got on the train with three smartly-dressed young women in their twenties, knee-length boots, and smart coats. Blond highlighted hair swung seductively at their jaw lines. They wore make-up; she did not, but her eyes were wide and awed and shiny with adoration as she looked at one of the girls. Her daughter, it came out as they talked about where they were taking her and the delights they would show her, had been in NYC about a year and a half, and established herself in some career that involved fashion and seemed to be going pretty well. “We’ll get off on 14th and change trains,” she told her mother after checking her iPhone with unselfconscious deftness. Her mother beamed. Her tennis shoe accidentally touched my foot in the crowded car and she immediately apologized. The flock of girls looked on with bemused smiles. I hauled the Korean paperback edition of my book from my backpack and stared at it–probably with an expression similar to the Mama above watching her baby-made-good. Aloud I said, “This is the cutest cover yet. I’m so happy to have gotten this today!” Andrew and Jack said something about when it had been published, and the English version, and the business-suited, bearded man (lawyer, was my guess) traveling across from us looked up. The train wasn’t crowded, so he could see what we were talking about, and put two and two together. His smile resembled one you’ve probably used yourself, when you see a woman at the grocery with a new baby dressed all in pink, big bow over one ear, and people gathered ’round cooing. By the time he got up at the next stop, I’d put my baby back in the pack, but as he passed me the lawyer-esque man said, softly, “Congratulations.” I looked up in time to see him smile at me before he disembarked. Jack and I exchanged glances. As we got out the good cheeses and tomatoes and crusty loaf we’d bought at the Farmer’s Market that morning with Pamela, Dad started reading Alex–loudly, so the whole car could enjoy it–a story about a hero factory that made robots to fight the evil brain that turned people’s eyes a glowing red. As Jack concentrated on breaking the crusty loaf, I tucked two cherry tomatoes behind my glasses and gave him my best evil grin. He nearly choked to death when he glanced over. They were just having fun. So were we. It was a nice ride. And in case you were wondering, the hero robots defeated the evil brain, and we ate the cherry tomatoes. Since moving to the U.S. I’ve had many a long road trip. Coming from a country where the opposite coast could be accessed by a 2-hour drive (but the trip required packets of sandwiches, a thermos flask of coffee, and other emergency supplies) you can imagine how I’ve adapted to a place where 7 or 8 hours is the norm! Usually Wendy and I do these long trips together and she does most of the driving. In a couple of weeks, though, I head off solo to Colorado to attend the annual PVS conference (Prison Visitation and Support, and by the way thank you for all those postcards). Wendy was originally slated to go with me and visit with old friends who recently moved to Pueblo, so she organized a couple of book gigs along the way: LuAnn Locke’s Afterwords in Edwardsville, Illinois and in Wichita, Kansas at Al’s Old and New Book Store, managed by Anita Siemer. And we’d hoped to meet Hilda, owner of BookMedley, who helped arrange the KS gig. Unable to find someone to mind the shop in rapid succession over four road trips (we have the Southern Festival of the Book this weekend and a trip to NYC in November to see Wendy’s agent and visit Word Up Bookstore) not to mention the small matter of finding time to write her new book, and the brand new cafe upstairs in our bookstore, forced Wendy to call off. So it’s over to me. My first big US road-trip solo! 8 hours on Tuesday to LuAnn, 7 1/2 hours on Wednesday to Anita, and 6 hours on Thursday. Then the whole thing backwards in a straight shot homeward, no stops, when the conference finishes on Sunday. I suppose my biggest worry is navigating through the cities to find the bookstores and the conference hotel. Talking with the book clubs and guests at bookstore events is fun. Wendy wrote the book, but we both lived it, and over the months we’ve been doing events patterns of questions have emerged, yet pleasant and surprising insights as well. Then as soon as I get back we prepare for New York, but that will be (at least partly) a train ride. And we will get to visit with last year’s live-in shopsitter, Andrew “perfect” Whalen, who promises to show us a good time in Brooklyn. Should we be afraid, do you think? Meanwhile, I have nothing to fear but the drive itself. I used to think, when a little boy, that the annual summer holiday trip from Dunfermline to Aberdour (about 15 miles) was a long journey and a real adventure. We took a break halfway at Otterson Loch–in the words of the famous old ballad: Half Ower, Half Ower, tae Aberdour–where I’d catch minnows and put them in a jar. That was then, this is now! I’ll settle for finding the hotel.